Automakers have a long history of deploying ridiculous architectural feats to sell cars—from Volkswagen’s gleaming parking towers to Lamborghini’s crazy light show at Autostadt. 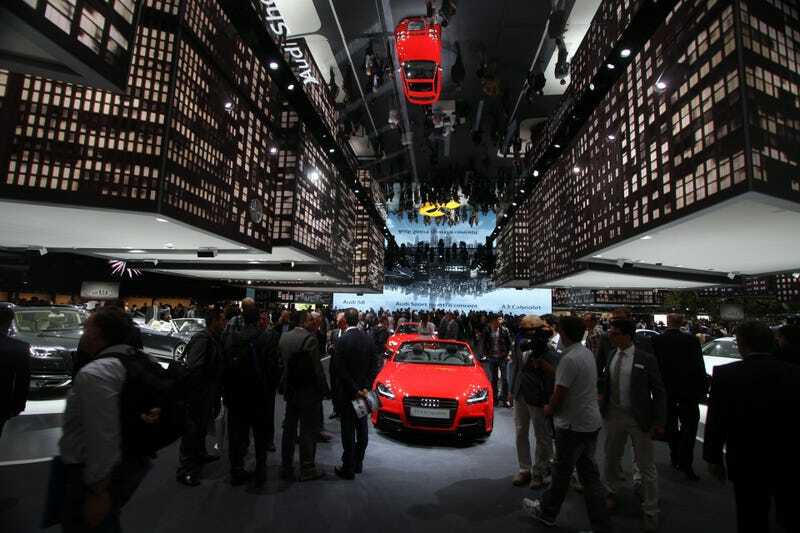 But all that pales in comparison to the installations on display at this year’s Frankfurt Motor Show. Among the most elaborate pavilions on view? The sensational ceiling at Audi’s pavilion, which hung an entire fake city, a la Inception, above the brand’s latest models. Check it out below.